In the world of TV, music, and films, there are some simply stunning women, and we’re paying a little attention to them in our list for the top 10 most beautiful Mexican actresses 2017. We want to know how many of them you agree with, and whether or not you think we’ve unfairly left someone out of the list. Let’s get the conversation started — we’d love your input. 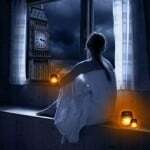 You know what to do … Just add your comments and thoughts in the box below. 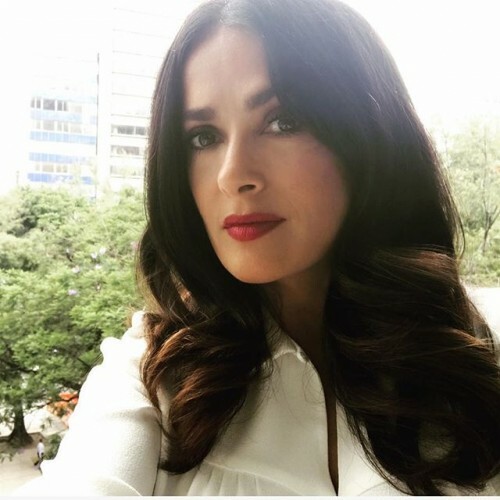 At 51 years of age, Salma Hayek is one of the oldest of the top 10 most beautiful Mexican actresses we’re featuring on this list, but she’s definitely giving some of the younger ones a run for their money! Not just an actress for movies, Salma is also known in the TV acting world, and that’s actually where her star, in a telenovela called Theresa in 1989, before making her movie debut in the 1993 movie, Mi Vida Loca. In 200, Time Magazine listed her as one of the top 25 ‘Most Influential Hispanics’, has won a Daytime Emmy Award, worked with Avon and Revlon as well as Cartier and Proctor & Gamble, and that’s before we even mention her UNICEF work. She’s beautiful, a great actress, and she has a good heart. That’s why we love her! 36-year-old Jessica Alba is a businesswoman as well as an actress, and as well as movies such as Sin City, Fantastic Four, and Good Luck Chuck, she’s also the co-founder of a non-toxic household goods company, called The Honest Company. It was at the very young age of five that Jessica first expressed a desire to get into the acting world, and when her mother took her to a talent/acting competition at the age of just eleven, and she won, she received a group of freebie acting lessons which clearly did her the world of good! It is in Planet of the Apps, an Apple Music American reality TV show, that you’ll see her on now. She’s branched out from movies once again, it would seem. Another of the top 10 most beautiful Mexican actresses 2017 who is better known for her telenovelas, is Maite Perroni. Aged 34, she was born in Mexico City and started her filming career in Rebelde, in which he has a co-lead role. She then went on to have lead roles in a number of further shows, including La Gata, Cachito de Cielo, and Triunfo del amor. At present, you’ll see her in Papá a toda madre, in which she plays one of the lead roles of Renée. Selena Gomez has recently been in the media because of her battle with the disease, lupus. 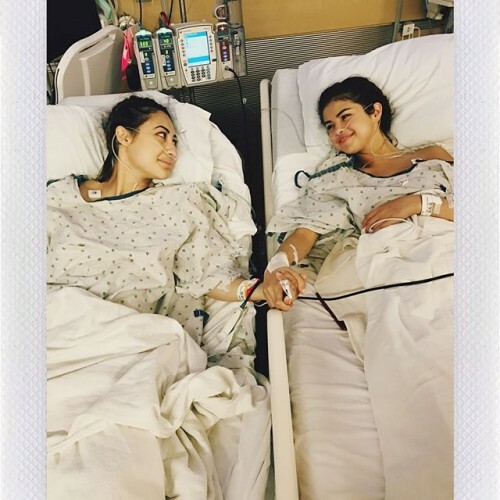 Her best friend came forward as a donor after it was revealed that Selena needed a transplant, showing that true friendship really does know no bounds. 44-year-old Kate del Castillo is an actress that is both American and Mexican, who first rose to fame in her early twenties in Mexican telenovelas. It wasn’t until a few years later, in 2011, that she first got picked up in Hollywood, and she’s starred in a few hit movies since then. The 33 also starred Antonia Banderas, James Brolin and Juliette Brioche, and there was the 2014 movie, No Good Deed, which also saw her star alongside Idris Elba. At the moment, you’ll see the gorgeous Kate del Castillo in Ingobernable, a Netflix (Mexican) special, playing the fictional character, Emilia Urquiza, otherwise known as the First Lady of Mexico. This gorgeous girlie was actually born in Montevideo, Uruguay, but she has dual Uruguay and Mexican nationalities. Not just an actress, Barbara Mori is also a writer, a producer, and a model, and with those stunning good looks, it’s not hard to see why. It was actually in modeling that her career began, at the age of 14. It was fashion modeling that first saw her posing for the camera, and five years later she made the move to Mexican TV and soaps. She’s also appeared in a number of music videos too. Her real name is Ariadna Thalía Sodi Miranda, but the whole world knows her simply as Thalia, a beautiful name for an absolutely beautiful woman. She’s an actress, a singer, and a songwriter too, and in actual fact, she’s classed as one of the most influential, and also the most successful, singers originating from Mexico, with the friendly nickname, “Queen of Latin Pop”. She’s the Queen of hearts too and has not only made music waves but acting waves too. Shows starring her have been aired in over 180 countries across the globe because they are so successful and adored, and she’s one of the most well-paid actresses in Mexican TV too. Oh, and she’s even designed a few fashion lines too. What a busy girl! This woman is a stunning force to be reckoned with, a TV host, actress, model, and even Beauty Queen winner. In fact, if we’re going to get technical about things, we’d best tell you that she’s the second Mexican woman ever to win Miss Universe, and that was back in 2010. Since her beauty pageant career, Ximena Navarrete has done a lot, working with both Old Navy and L’Oreal Paris, and also moving into TV soap acting too. And that’s before we start on the work she did with the charity, Children International, which works closely with poor children. Angelique was actually born in France, but when she was just a couple of years old, she moved to Mexico with her parents. She’s now 29 years old, and an absolutely gorgeous French-Mexican actress. Her career started with smaller roles, much like many actresses, but it wasn’t long before she found herself with lead and protagonist roles. She’s won a string of Mexican awards too. Definitely one to keep your eyes open for! 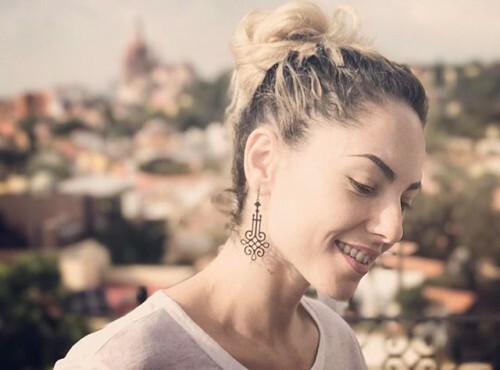 42-year-old Aracely Arámbula is not just an actress, but a singer and a model too. It was beauty pageants that first got this little starlet noticed and then smaller TV roles on Mexican TV, and she even took a brief hiatus from acting to focus on other things. 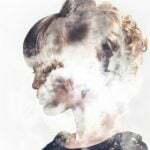 There was a music career too, and she even spent a few years working on her business skills too, opening a spa, and even offering her face to a cosmetics and perfume company too.